* Bring a bit of classic beauty to your home with this attractive fleur-de-Lis canvas print. 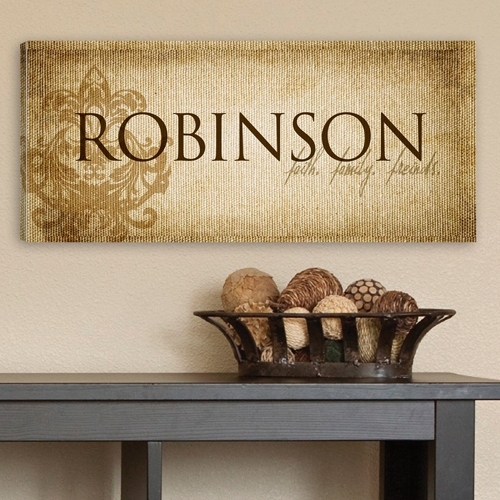 * The stylish wall art print features a nostalgic canvas texture with a beautiful fleur-de-lis, the popular Faith, Family, and Friends quote, and your family name in attractive brown text. * Warm and inviting, it adds a traditional touch to your home's décor.